Black-and-white vertical photograph of the coastal wetlands along the northeastern side of the Gulf of Fonseca, near San Lorenzo, Honduras. The wetlands were flooded during the height of the storm and experienced significant changes in salinity. 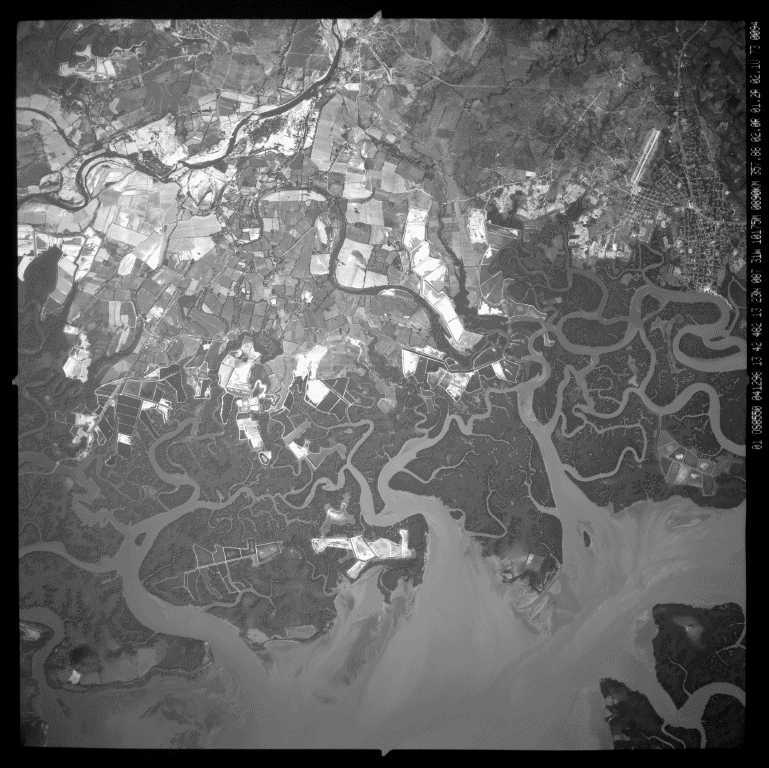 Large quantities of sediment were deposited in the diked shrimp farm ponds, on the floodplains of the Rio Nacaome, and on other coastal-plain river and estuary channels throughout the area of the photograph.